Precision Optical Transceivers decision to move to Eastman Business Park is an early sign of the impact the American Institute for Manufacturing Integrated Photonics hub might have on The Park. Additionally, new plans call for selling off or leasing more than 50 acres of the park in the coming years — mostly parking lots along either side of Lake Avenue and West Ridge Road, from Dewey Avenue to the Genesee River. Park operators have also begun hosting private developers interested in revitalizing the area. 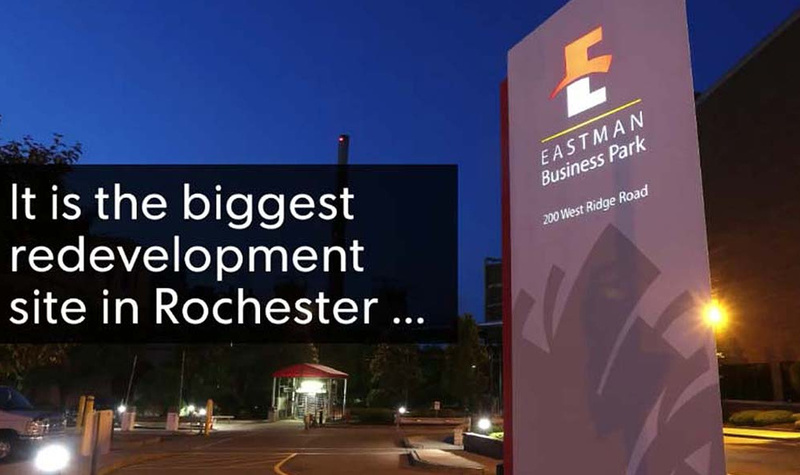 "It's the biggest new development that the city has," said Dolores Kruchten, president of Eastman Business Park.